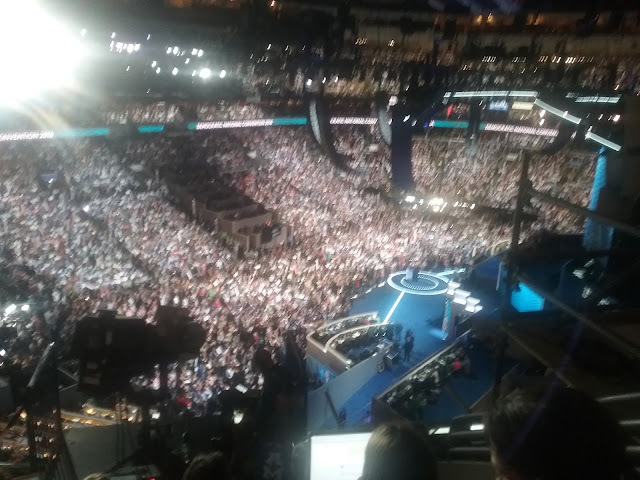 Philadelphia, Pennsylvania: Essex County Place is reporting live all week from the Democratic National Convention at the Wells Fargo Center in Philadelphia. Like Essex County Place - PlaceNJ.com on Facebook to see Facebook Live videos of speakers. Follow @PlaceNJ on Twitter to see live Periscope videos. On Tuesday, speakers included former president Bill Clinton and Representative Bonnie Watson Coleman. Check PlaceNJ.com later for more from the convention, including an interview with Senator Ray Lesniak, a possible candidate for New Jersey governor in 2017.